Tutubi's driver wanted him to buy tilapia grown in cages in the lake but found none selling the fish and so just took a few photos before leaving. The construction of the Magat Dam and appurtenant structures, the principal feature of the Magat River Project (MRRP) was authorized by Presidential Decree 693 signed on May 7, 1975 by the late President Ferdinand Edralin Marcos. Implementation of the project was based on the preliminary study conducted in 1973 by the National Irrigation Administration (NIA) with the assistance of the United States Bureau of Reclamation (USBR) and the United States Agency for International Development (USAID). Subsequent detailed and extensive damsite investigation and engineering studies further confirmed the feasibility of what is now known as NIA's most daring infrastructure project and one of Asia's biggest dams today. The total project cost is P3.4B, jointly financed by the Philippine Government and the World Bank. It was inaugurated on October 27, 1982 by the late President Marcos. It was inaugurated on October 27, 1982 by the late President Marcos. He said 'This is a truly a day of pride for all those who worked in the project for all our people and our country.'" Magat Hydroelectric Power Plant sits at the boundary of Alfonso Lista town of Ifugao (part of the Cordillera Administrative Region) and the town of Ramon, Isabela. 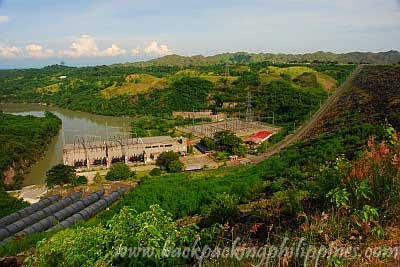 Other dams in the Philippines are La Mesa Dam in Quezon City/Rizal province (site of the La Mesa Ecopark), Pantabangan Dam in Nueva Ecija, San Roque Dam in Pangasinan, Wawa Dam in Montalban (Rodriguez), Rizal. A similar project can also be found in Laguna with Caliraya Lake(including Lake Lumot) as reservoirs. Tutubi would also love to visit the engineering wonder of Hoover Dam in Colorado, USA and the Three Gorges Dam in China, currently the world's largest hydro-electric power plant in the world. Directions for those with vehicles: there's a road going there with direction signs on the highway of Ramon town of Isabela between San Mateo and Santiago City. 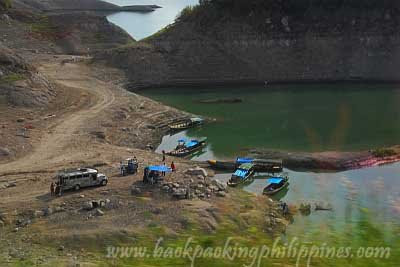 For those commuting, Magat Dam is a jeepney ride from Santiago City plus a tricycle to the park. A tricycle terminal is located at the corner of the highway in Ramon to take you to the place. That's quite an interesting dam. it's nice that you featured dams on your blog. quite a unique post. Hi! I'm Jobelle from Globetrotting Lens Publishing and we will be publishing a travel guide series about the Philippines. Anyway, I'm inviting you to post your travel photos on our website: www.globetrottinglens.com. I really love your photos and articles.Thanks! 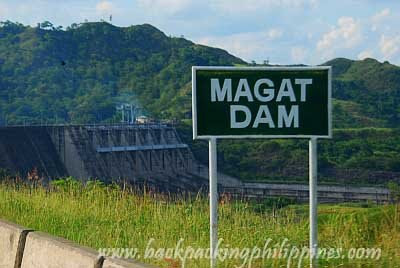 All my life I heard of Magat Dam and never really bothered to look it up. All the while I thought it was somewhere in Bulacan. Thanks for the information. really amazing facts about the place tutubi. its been decades since i have set foot in isabela. i think its now time to go back there. I never even know there is a Magat Dam. Isn't there a Marikina Dam? Or was the plan scrapped? Thanks for an informative post. sabi niyo hydroelectric power plant eh anong lumabas e iba naman kasi nga gumagawa ako ng project ko haynako mga tao talaga!common sense naman dyan!hayaan niyo bibilhan ko kayo sa s.m.! fine commonsense ang tatak nun............! I used to live in one of the islands around magat dam early 1986. Around the area, napakaraming waterfalls. I'll try to find those pics when i visited my hometown san mateo. by the way, it's really a hydroelectric power plant and the biggest dam in asia. fyi. I need a very good picture of Magat dam. 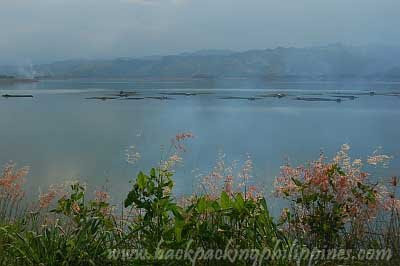 The Magat High Dam has indeed experienced changes (for the better!) and it is now proposed by the LGU an the NIA-MARIIS to make it also a tourist spot, hence, a view deck was also constructed and the dam reservoir is being cleared of fishpens as these will contribute to the silting of the Dam.